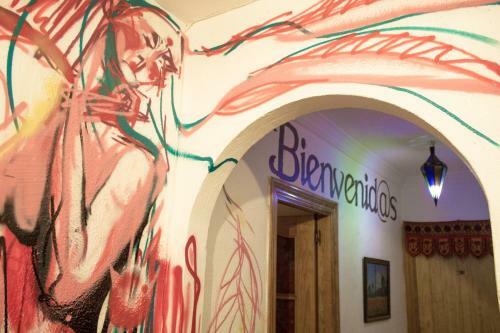 Situated on lively Elvira Street in central Granada, El Cascabel offers free Wi-Fi access. It is located on the edge of the charming Albaicin district, a UNESCO World Heritage Site. This hotel is 1508 metres from the Alhambra entrance, 517 metres from Plaza Nueva (the absolute centre of Granada), 1133 metres from the train station and 2471 metres from the bus station.